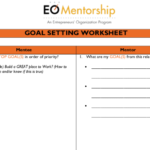 EO Mentorship fosters relationships that aim for high-level leadership and personal development within a structured timeframe. 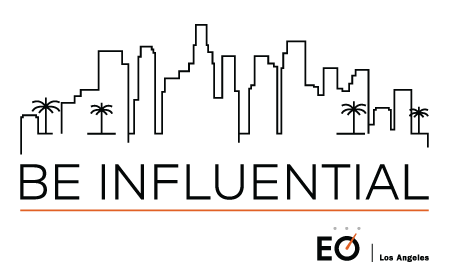 Throughout the mentorship, Mentees work toward goals and create personal accountability, while Mentors support them with shared insights, perspectives and experiences. 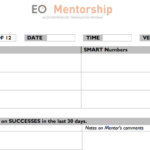 EO Mentorship lasts 10-12 months. In this time, Mentees and Mentors will meet face-to-face for one to three hours per month. 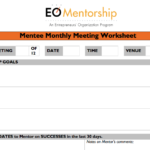 A the EO LA Mentorship Chair(s) will pair the Mentee with a Mentor based on their development goals and a Mentor’s expertise. The Mentees are responsible for driving the relationship forward by scheduling meetings, sharing goals and reporting on their progress. The Mentor’s role is to share experiences and act as a sounding board to the Mentee. After the program, the Mentee and Mentor may part ways or continue in an informal relationship. 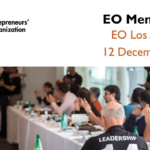 It is highly encouraged that the Mentee give back to the program by serving as a Mentor to an EO Accelerator or EO GSEA participant, or a fellow EO member.